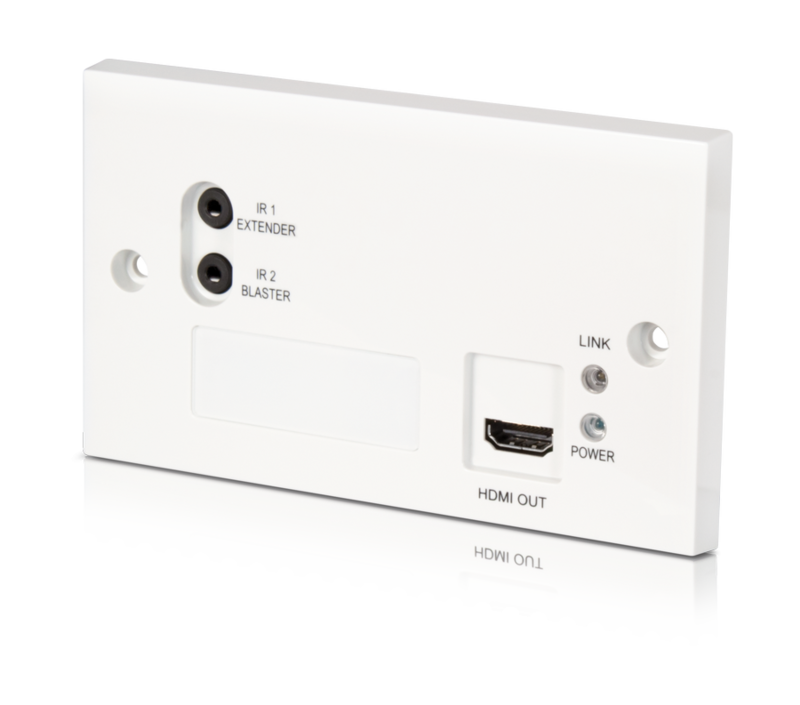 Mottagaren PUV-1210PL-RX gör det möjligt att ta emot video ( upp till och med 4K UHD), tillsammans med HD-ljud, IR båda hållen, RS-232 och Power over HDBaseT upp till 60 meter. ????? 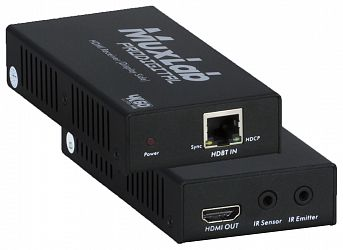 ?The PU-1210RX Receiver will accept transmitted video resolutions up to 4K UHD, along with HD audio, 2-Way IR, RS-232, PoH (Power over HDBaseT), and OAR (Optical Audio Return) up to 60m. 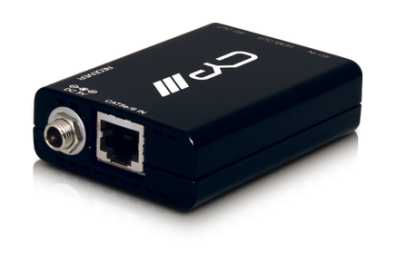 This solution provides advanced signal management ensuring reliable results in the most demanding installation environments. 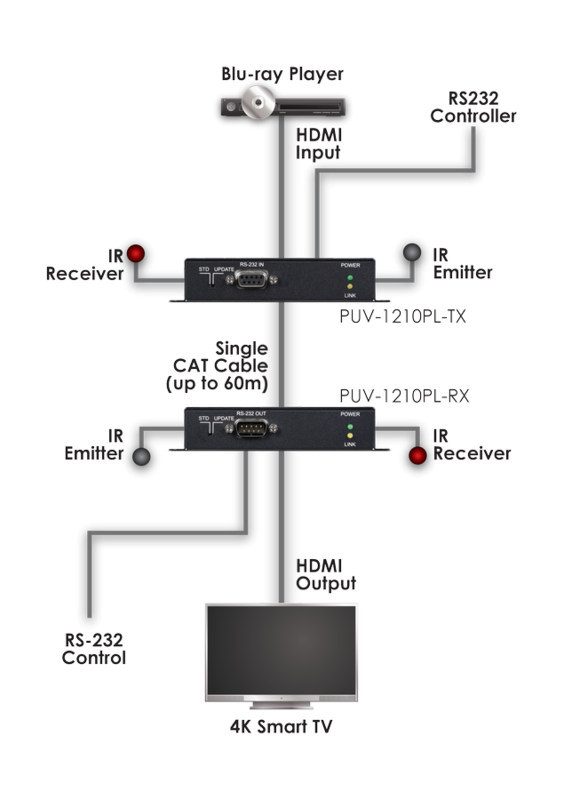 All audio, video, control, and power are received simultaneously over a single CAT6a/7 cable up to 60m.???? ?